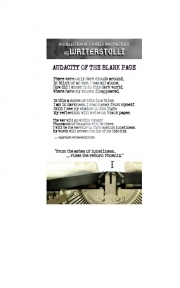 Description of "Audacity Of The Blank Page (eBook)"
To help you realize that you're not alone in your loneliness, the editors of this anthology wish to present a novel path to serve the reader approach tenacious emotions of loneliness. Various wordsmiths had stepped into the breach for you in this anthology. Whether they are addressing distress in their personal lives or in the event of a character, they give precision about an intricacy that can seldom appear difficult to explain. The stories and poetries will offer equanimity for the alone and an assertive attitude on living solely. Writerstolli is Mirakee's kinsfolk. As writers ourselves, we know more about the writer’s impasse. So we designed Writerstolli to create hearty bonds with our new writers. We endeavour to give motivation, amity and a fresh appealing platform for emerging writers. Long-term, our vision is to perform an even greater part in supporting the thriving writers. We challenged them with distinctive poetry forms, thought for the day and word of the day. In this process, we also challenged writers to become challengers on their own and published two books "Constellation of Bleeding Ink" and " Shades Of Frozen Fear". Reviews of "Audacity Of The Blank Page (eBook)"